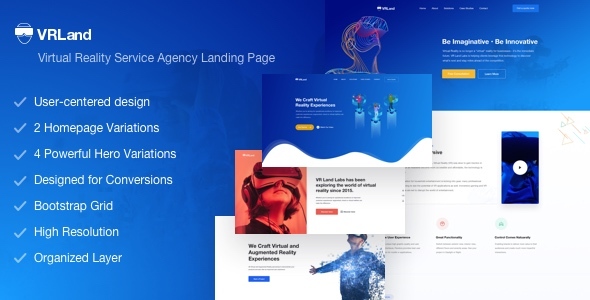 VRLanding is a unique, conversion focused and user-centered high resolution Bootstrap grid based PSD landing page template for virtual reality service agency. Font used: Helvetica Neue Images used: shutterstock, unsplash Icon used: fontawesome, nucleoapp (All stock images are for preview purposes only and are not included in the download package. I have included all the section images link in the documentation.